Happy Valentine's Day! Ebates has a sweet cash back deal for you going on now with your favorite stores. Shop online or in-store for cash back savings. 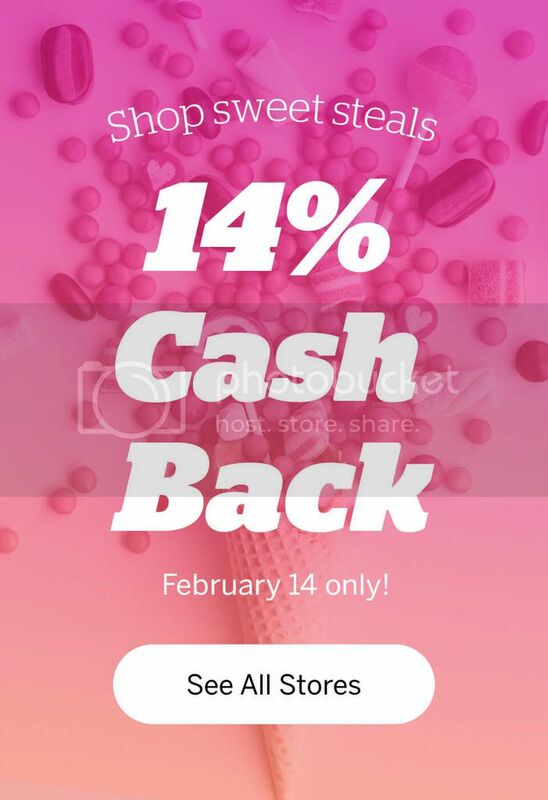 This deal will expire at the end of Valentine's Day so take advantage of the 14% Cash Back. Happy shopping!